Home Blog Does your office fulfil the correct Occupational Hygiene Service requirements? The Occupational Health and Safety Act serves to protect employees and employers from various dangers that can occur in the workplace, including compliance with correct hygiene services standards. The Act that is most important in an office environment and serves to be the base of hygiene services standards is the Regulations for Hazardous Biological Agents OHSAct (85 of 1993), which refers to any micro-organism, cell culture or human endoparasite which may cause any infection, allergy or toxicity or otherwise create a hazard to human health. People at work may be infected by various biological agents if hygiene service standards are not met, through different routes including, physical contact, airborne transmission, droplet transmission as well as vector borne (mosquitos, bugs and sandflies) and common vehicle transmission. These agents include bacteria and fungi and can be found in water, soil, plants or animals. High risk environments for poor hygiene service standards include spaces such as food production factories, hospitals, laboratories, agricultural settings, municipalities (such as sewage and refuse removal workers) and in office buildings that contain carpets, damp walls, poor ventilation systems and wallpaper. These are all areas that bacteria and fungi need minimal resources to survive and spread. 2. Conduct continuous monitoring in accordance with a suitable procedure that is standardised, sufficiently sensitive and of proven effectiveness. 3. Implement engineering control measures, administrative control measures and use of personal protective equipment and facilities to prevent or, where this is not reasonably practicable, adequately control the exposure risk presented to employees. 4. Provide medical surveillance for exposed employees. Correct hygiene services standards are not only paramount in providing a productive and healthy working environment, they are also the law. 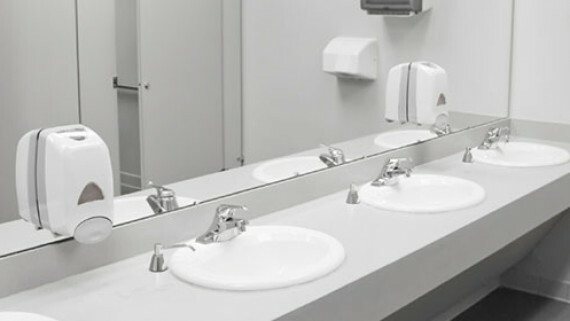 If you are looking for a hygiene services company to assist you, have a read through our article, 5 questions you should ask your hygiene services company as well as The benefits of hiring a hygiene services company. If you are looking for a reliable hygiene services company to ensure compliance to hygiene service standards in the workplace, be sure to contact us today. Give our Elite Cleaning Service team a call today on 011 886 9915 for a free quotation and leave your hygiene cleaning to the experts. We are experienced in all types of hygiene service solutions and pride ourselves in the expert delivery of hygiene services countrywide.